Still hanging over from the Royal Wedding, this week it’s all about fakery as we discuss the underrated Ryan Gosling film Lars and the Real Girl. We also talk royalism, eating swans, creepypasta, Adam Sandlerisms, and Paddy’s somewhat harebrained theory that no film with the name of the central character in the title ever does as well as it should. Just like the rest of the world, we’ve got Royal Wedding Fever, and what better way to scratch the itch than to watch a tacky made for TV movie about Meghan and Harry? We talk about Lifetime’s Harry & Meghan: A Royal Romance and how it stacks up against its predecessor, William and Kate: The Movie, and also discuss gammon, Enya, the Air Bud Cinematic Universe, Lars von Trier, and geese. Happy Royal Wedding to you all! Happy Birthday to us! We’ve been podcasting for a whole year, and to celebrate we watched the 1984 Prince vehicle Purple Rain. We also discuss local council elections, no-platforming, GG Allin, David Bowie, Chocolate Rain, the terrible nonsense of Morrissey and Kanye, and the majesty of Miami Connection. Is Tonty Blair behind this? We’ve somehow made it to 50 episodes, and what better way to celebrate than by watching something completely different to our usual fare and discussing the beautiful garbage that is Jupiter Ascending? Witness the majesty of this insane film as we take you on a journey through space and time, and discuss gammon, punching fascists, star signs and much more! It’s a Disney special this week, as we argue about the live action Cinderall vs the live action Beauty and the Beast! We also discuss sports video games, Metallica, whether geese can drive or not, and come up with an amazing amount of ideas for new Disney and Star Wars films. Enough that Disney will be sending us a cheque soon. Unfortunately there’s a crackle on Rob’s audio that starts about 40 minutes in that can’t be edited out. Sorry about that. We’ll be back to normal next week. The time has come to honour our spiritual king, Nicolas Cage! 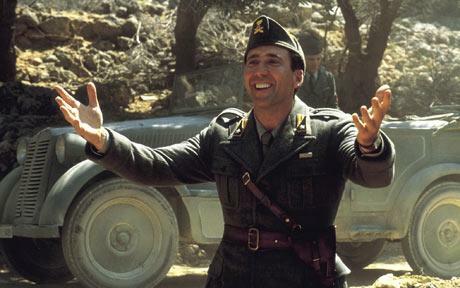 As well as discussing the boring and droopy Captain Corelli’s Mandolin, we also discuss some current films including Black Panther, The Shape of Water, Tomb Raider and Paddington 2, and give Liam Neeson a telling off. But most importantly, this episode sees the launch of the #CageChallenge! 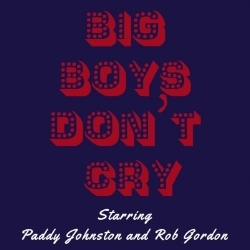 Head on over to http://twitter.com/bigboysdontpod to find out how you can get involved and compete for the ultimate Big Boys Don’t Prize. It’s time to weep, as we watched devastating speculative romance-drama Never Let Me Go this week, and cried some real tears. We also discuss how to soundcheck properly, gig etiquette, music festivals, good novels and spleens, and there’s follow-up on salty dog-man Winston Churchill. We paid a visit to Yorkshire this week, or as it’s called in film, God’s Own Country! Last year’s excellent movie of the same name is discussed, along with sheep’s cheese, hedgehog crisps, marmite, and lots of other glorious crap your hosts were eating back in the 90s. We also declare that Winston Churchill was ‘tangy like a good Cheddar.’ There’s more poetry in that line than in the whole of Darkest Hour. On this episode we discuss the wedding film of the century, Table 19. But what happened on the other 18 tables? Listen in to find out! We also discuss hamsters, watching films on planes, gammon (as in middle-aged men), the Cleveland baseball team, Disney songs, TV shows about doctors, and how all fans are bad. Stop liking things. Stop it. It’s our 40th episode, and to celebrate, we’re giving the people what they want and discussing fan request Martha, Meet Frank, Daniel and Laurence (or The Very Thought of You). We also discuss TED Talks for mice, have a long chat about Pokémon, get philosophical about the future of storytelling, and pay tribute to Ursula Le Guin. The song at the end of the episode is the new single by our band, Palomino Club! What would you do if the world was going to end in 21 days? Hopefully not end up in a forced and boring romance! We discuss the 2012 slightly below-the-radar film Seeking a Friend for the End of the World in this episode, and we also argue about mumbling pixie dream boy Michael Cera, diss Damien Hirst, and make a plan to drive around insulting people we don’t like in the shadow of the apocalypse, starting with Jacob Rees-Mogg (aka Walter from the Beano). There’s also an all-important update on our musical adaptation of The Godfather.